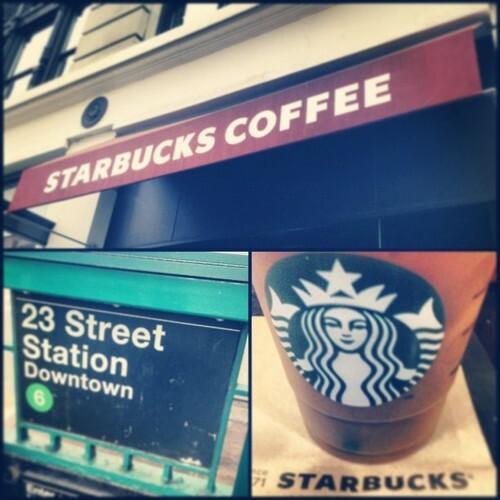 There is something special about the Starbucks on 28th and Lexington. I couldn’t quite put my finger on it at first, but I’ve chocked it all up to the ‘newness’ of this location. 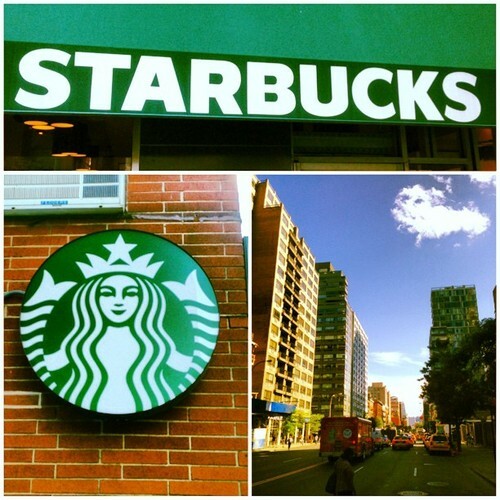 This is another of the recently added NYC Starbucks locations that are popping up in 2013. And this one is definitely the best one that I’ve seen so far. It’s not the biggest, not the least crowded and not in the best neighborhood. But it is indeed one of the best. All in all, its design and style are what give it so much character. The interior is shaped like perfect square with a minimally invasive barista bar and a cooler built into one of the walls. The rest is all seating — seating as varied as the colors of the rainbow. There are padded sofas, raised communal tables, tables-for-two, coffee tables (duh!) and even tables with wheelchair access. There are even two trendy looking benches built into the exterior walls of the Starbucks. In other news, the Treat Receipt has officially returned to Starbucks as of today, and they will be offering them until August 18th. Hurray! So, I definitely don’t need another reason to follow up my morning cup of coffee with an afternoon iced beverage, but it sure does save some cash. Today I decided to visit the Starbucks on 23rd and Park Avenue South, mostly because it’s directly opposite the Starbucks on 26th and Broadway that I visited last week. 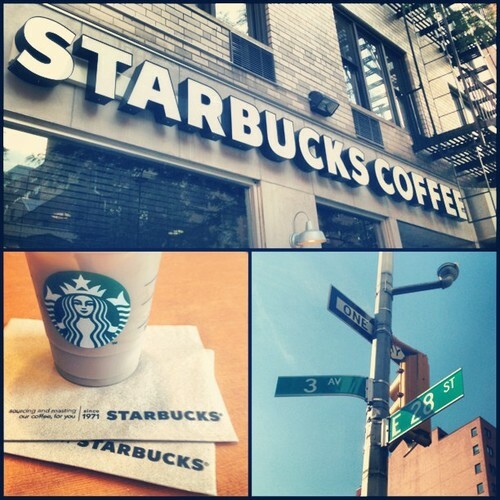 This Starbucks is on the southeast side of Madison Square Park; that Starbucks is on the northwest side. I definitely, definitely prefer the northwest side. This Starbucks is small, narrow, cramped, cold and lacking a public restroom. Yet still plenty of people rush in and out of its doors. Perhaps the reason it maintains such a crowd is because this Starbucks is above a subway station. Or maybe the park crowd tends to move southeast instead of northwest. 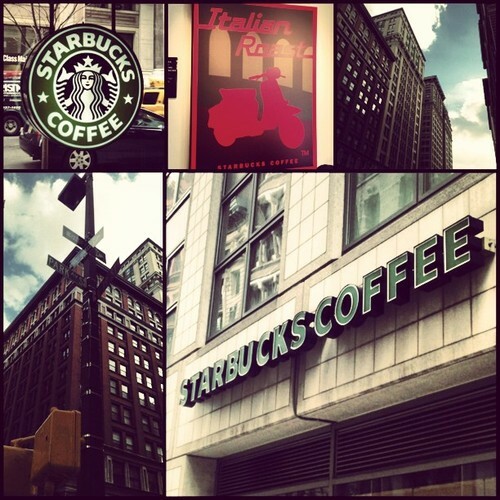 Whatever the reason — of the two Starbucks that overlook Madison Square Park, this one is trampled by the competition. Pint-sized Starbucks are like a double edged sword. On the one-hand, they’re small so seating is limited and they can resemble a cramped elevator during rush hours. But one thing they have going for them is that most people tend to get their caffeine fix then move on. Perhaps it’s a case of claustrophobia, but most people don’t linger in the smaller Starbucks whether there’s seating available or not. This opens those empty seats up for those looking to read, write, work or just surf the web with some added background noise. At least that is the case at this mini-Starbucks in Gramercy on 15th & 3rd. It’s so small that it doesn’t have a restroom available to the public, yet there is still myself and 3 others using this space to take care of some business. Others are coming and going, but no more than half the seats are ever taken. The only foreseeable problem I see is what happens when this iced red eye I’m drinking makes me need a restroom… So basically this is a Starbucks with a limited visitation time. I strongly considered giving this Starbucks a 1-cup rating, but it has a certain character that made me hesitate. The seating is limited, true, but it is organized in all the right places — pushed toward the front and away from the line and milk station. Also the fact that their is barely a crowd to speak of helps out. Although, I can’t say what this location is like during the morning rush. I’ve stumbled upon another behemoth Starbucks in New York City. The location on 29th & Park is in a small Manhattan neighborhood known as Rose Hill. Not exactly why this neighborhood is named Rose “Hill” since the geography doesn’t seem to differ from any of the surrounding neighborhoods, but I’m not gonna sweat it. This area is referred to as Little India (or Curry Way), because there is a stretch of Indian restaurants and markets just a block away down Lexington Ave. I highly recommend grabbing some naan and chicken tikka masala in this neighborhood. Another thing this neighborhood has going for it is this awesome Starbucks. Looking like it was newly renovated, it offers plenty of space to read, write, or chat. It has plenty of lighting, a stylish decor, and a Halal truck right outside if you’re looking for some of New York’s fine cuisine. Transportation isn’t the best in this area, but the local 6-train is relatively nearby. 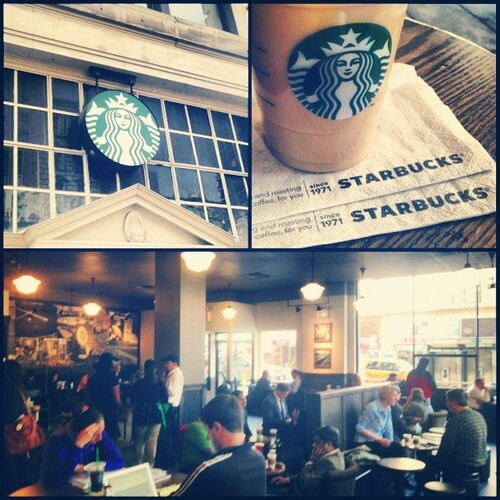 A consistent crowd lurks inside, but this Starbucks is designed to house a good amount of us caffeine addicts.